Excellent fishing early in the month has been overshadowed by the scallop reports in the last week. 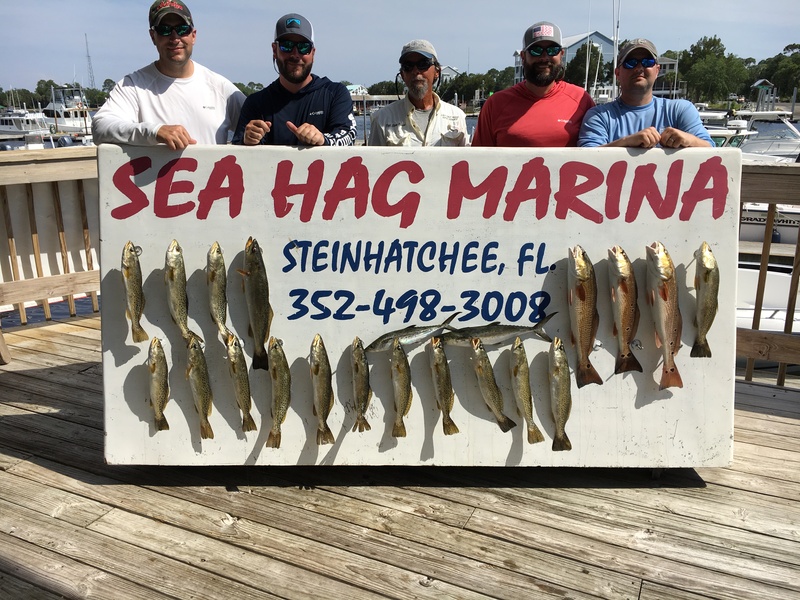 People are getting their limits of scallops in as few as 20 minutes, and within sight of the Steinhatchee channel markers! This looks to be the best season in the 20 or so years I’ve been around here. There’s some floating grass, making fishing a bit difficult, to say nothing of the massive number of boaters (some estimated over 1000 boats on opening day), but everything has gone smoothly, including the weather. 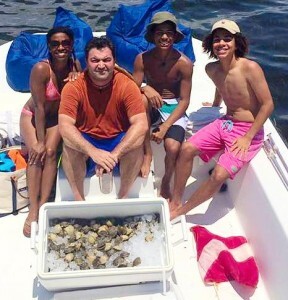 We did catch some fish, however, and here are some pictures from this month’s bounty. You’ll notice a preponderance of ladies…the Nauti-Girl Tournament had a record-breaking 197 anglers entered this year! Boat boys were allowed to navigate, but not allowed to fish, and there were some spectacular fish caught, including a bunch of large gag grouper. 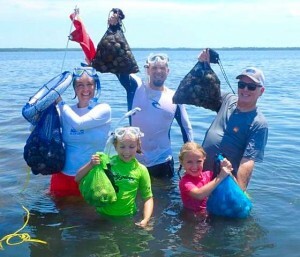 The Riddle family hit the water on opening day and filled their bags with scallops. 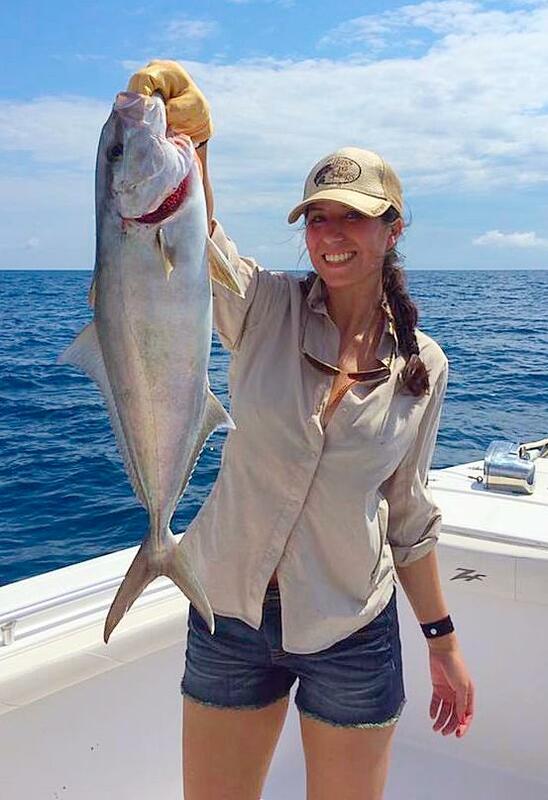 Alicia Hernandez fished the Nauti-Girls and landed this nice amberjack. Austin Swager and a beautiful redfish. 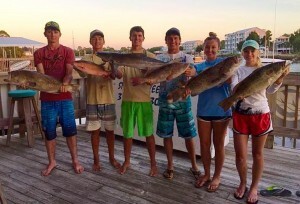 If you venture offshore, you can get a mixed bag like the Sea Hag crew: Charlie, Chase, James, Brett, Maddy and Chaeli. 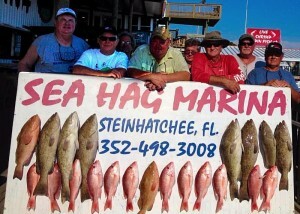 Grouper, cobia and snapper. 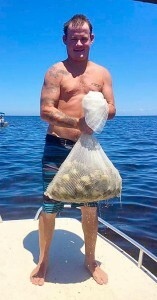 Donald Kaylor with a quick scallop limit. 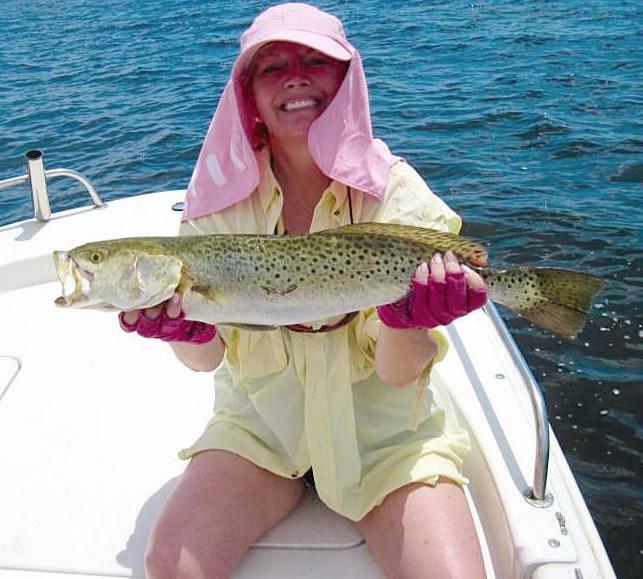 Cynthia Caucci and a beautiful tournament trout. 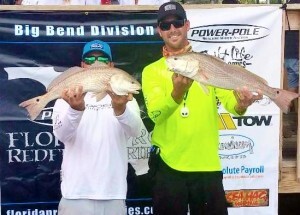 Brian Black and Nick Allen won the Florida Pro Redfish Series event at Steinhatchee with this fine pair. 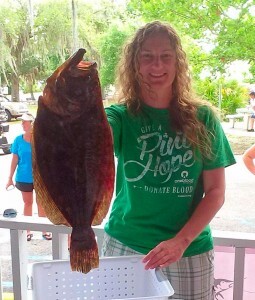 Claudia Green caught the big grouper in the Nauti-Girls Tournament. Jennifer Mosley took a first place with this giant flounder. Luke Matthews and Chaeli Norwood found easy scallop limits. My buddy Melissa Macarages won first place cobia fishing with friends. 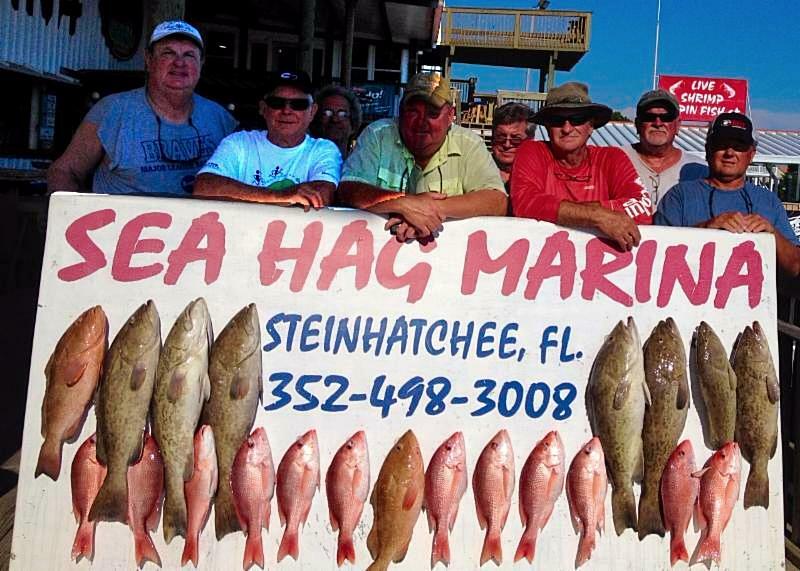 Gene Frazier’s Nev-A-Miss took advantage of the short snapper season. 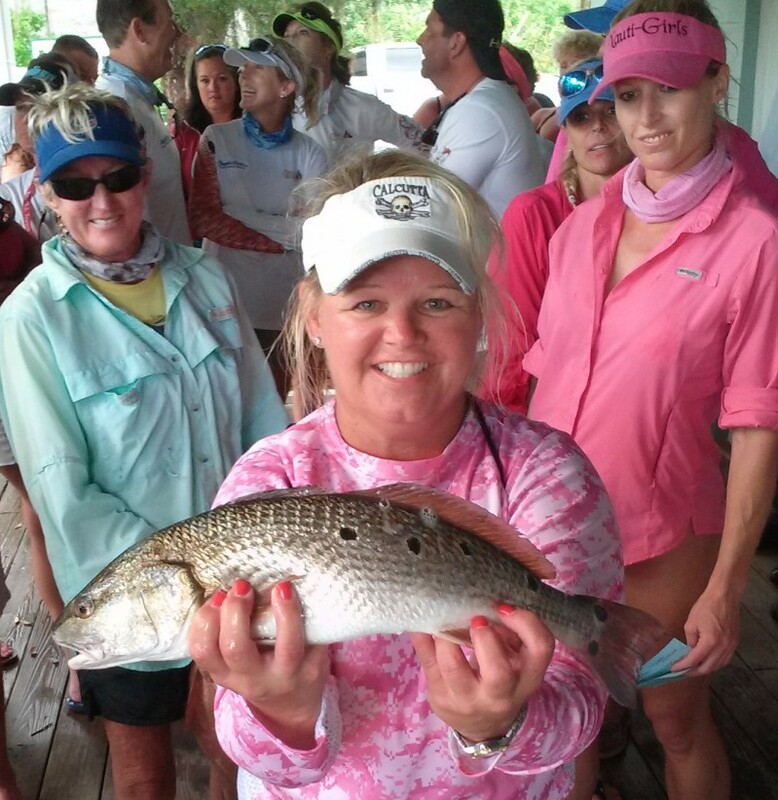 Michelle Hudson scored in the “Most spots” category. Team Happy Hookers with their tournament bag. 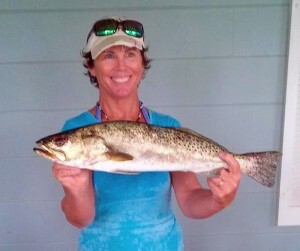 Laura Granovsky caught the big trout for the tournament. 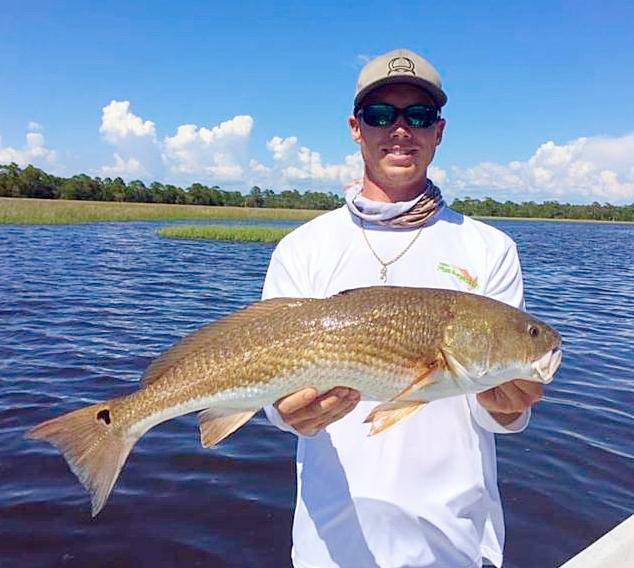 Garrett McKinney with a fine redfish. 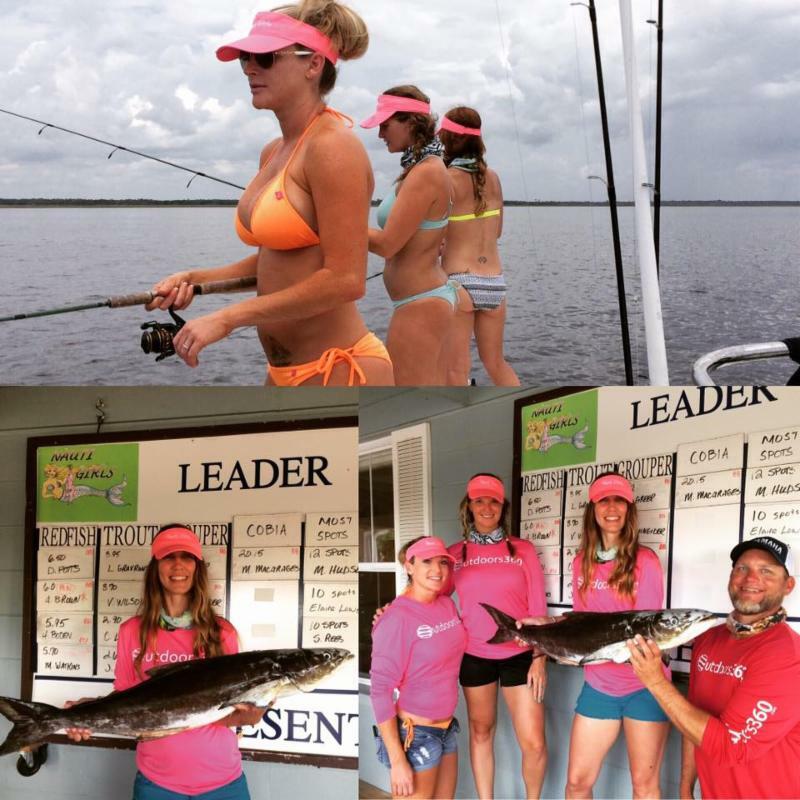 Becky Purser, Lisa Branca, Alicicia Hernandez and Missie Schneider hit the grouper hard offshore. Missy O’Hearn caught a nice trout…and it was her first. 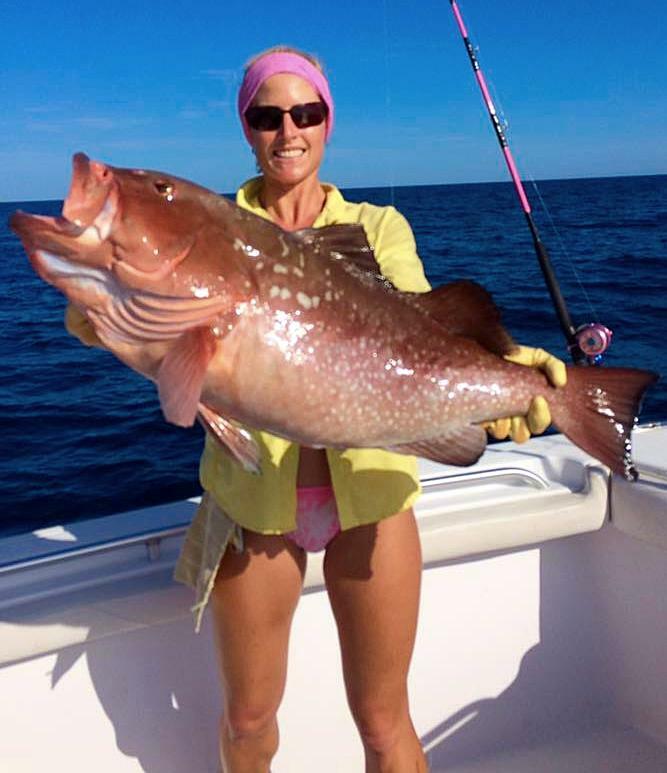 Missie Schneider caught the fish of the month….this giant red grouper. It should be a fun and exciting summer. We’ve managed to avoid any major rainfalls and as long as that keeps up, it should be an amazing scallop season, possibly the best ever. Ordinarily spots have been some distance away from the river, but this year scallops are plentiful in 3 feet of water over grass and sand areas around some of the inshore sand bars, around Rock, Sponge and Hardy Points, and lots down around Pepperfish Keys and Horseshoe if you are leaving from the south. Rock Creek also has good numbers of bivalves. You won’t have a problem finding them this year. Displayed on vessel, must be at least 20 inches by 24 inches with a stiffener to keep the flag unfurled. Should only be displayed while snorkelers are in the water; display above the vessel’s highest point. Tethered to diver, must be at least 12 inches by 12 inches; mandatory when using a mask and snorkel from the beach unless it is a marked swimming area. Divers must make reasonable efforts to stay within 300 feet of a divers-down flag on open waters and within 100 feet of a flag within rivers, inlets, or navigation channels. 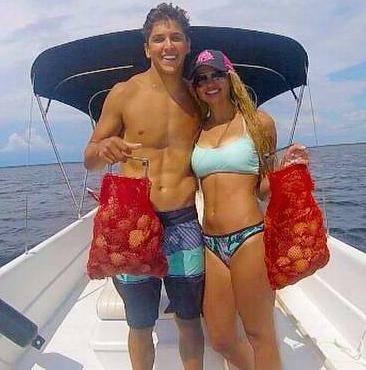 You’ll need a snorkel, mask and fins, a mesh scallop bag, and a cooler with a lot of ice. Make sure you have a functional ladder to allow easy access back into your boat, along with plenty of sunscreen and cold drinks. You can get everything you need at the Ship’s Store, including licenses, dive gear, ladders, and of course ice and refreshments. With the amazing start to the season, if you are going to look for accommodations, you may already be late if you’re looking for weekends, but be persistent. We have a number of lodging opportunities, so call today. Rental boats are a particularly easy way to get started but they are going rapidly as well, so don’t hesitate to give us a call. 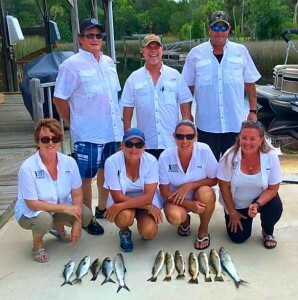 In terms of fishing, grouper are being caught in great numbers and there are still kingfish around, with lots of amberjacks to give you a tussle. 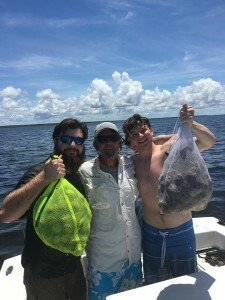 Inshore, with the influx of scallopers, you should aim to be on the water at daybreak, fish for a few hours, then become scallopers because when the sun gets high, there will be boats everywhere. 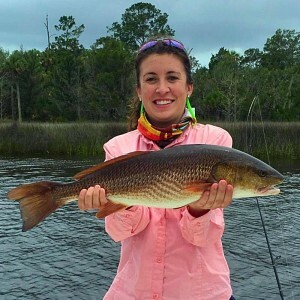 Redfish are plentiful, especially near marsh lines on flood times near structure in the early morning or late afternoon, but they are schooling and you may need to move around a bit. 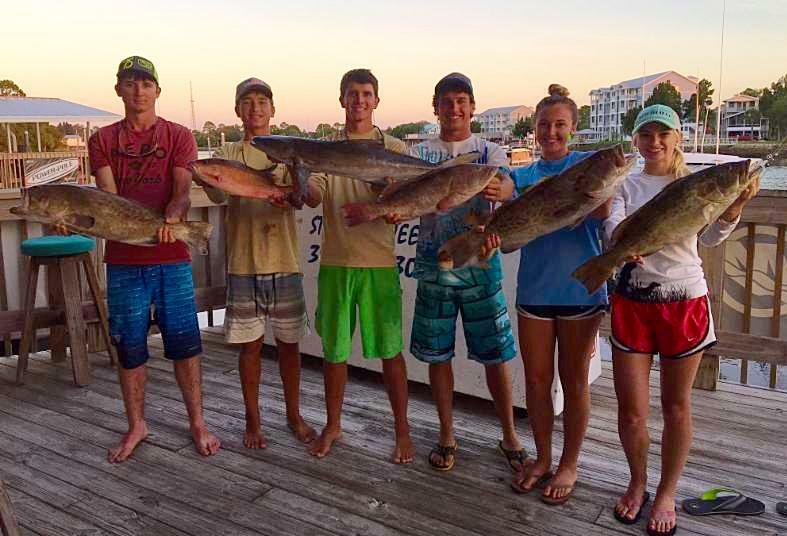 Trout remain in somewhat deeper water near the offshore banks and bars in 4-8 feet of water. 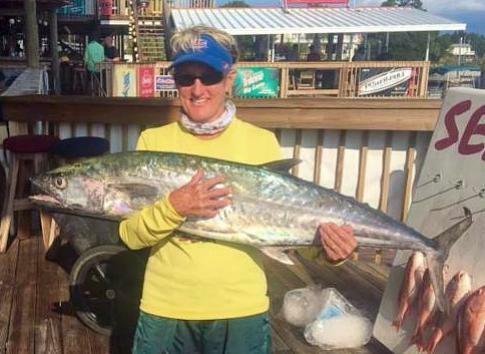 Fishing Gulp baits will result in a lot of fish, but it may take a while to fill your limit of keepers. 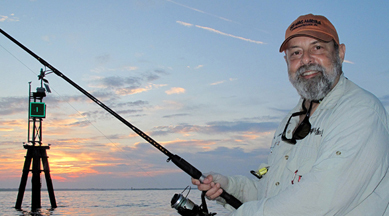 Some have been using cut bait in deeper water, but get ready to deal with catfish and stingrays. 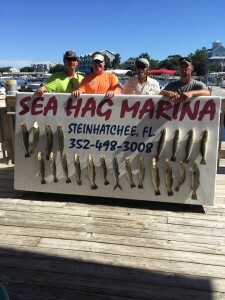 This is a fun time to experience Steinhatchee and the Sea Hag Marina. The Tiki Bar is open for business, the crowds are suitably rowdy, and fun is to be had….just make sure you drive carefully and stay hydrated. The sun can be your enemy this time of year; liberal use and re-use of sunscreen, avoiding alcohol, and drinking lots of fluids will keep you feeling good on the water. 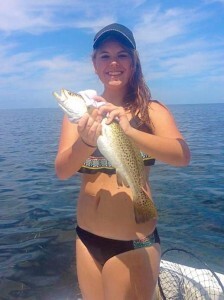 While trout fishing is tough in the summer I am still managing limits or near limits. Most days you have a breeze to make it tolerable. There are a few reds on the flats and plenty of tarpon. The big news is scallops are everywhere on the flats. 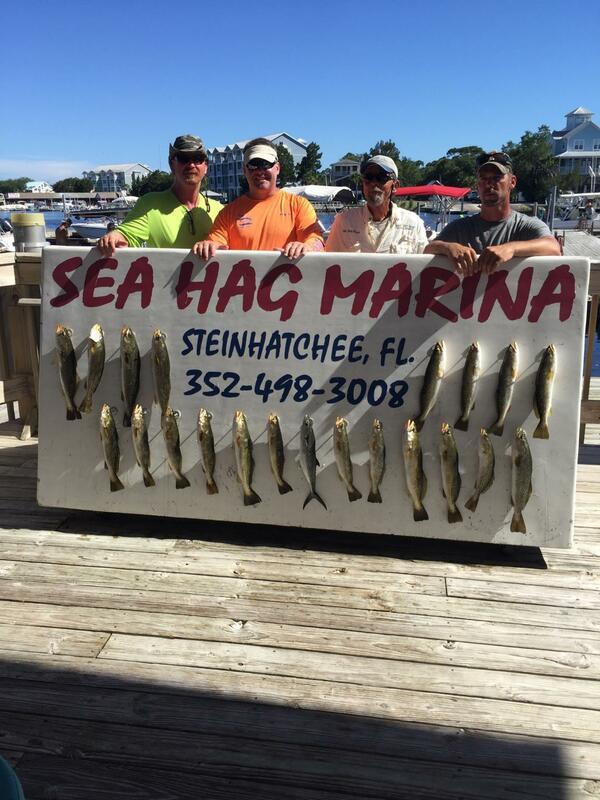 Have days open for flats fishing , scalloping or combo trips. Be safe out there!